A NEW service offered by Virgin Trains and app-based taxi company Uber will undermine ‘safer’ city black cabs, council chiefs claim. A two-week pilot scheme offers passengers an option to combine their rail travel with an online Uber booking. It was announced today it will function initially on trains arriving at London Euston and Birmingham New Street. The service will then expand to other routes depending on feedback. 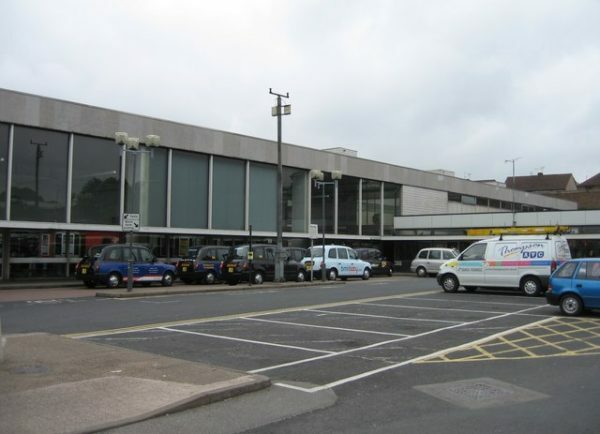 Coventry City Council’s cabinet member for city services, Jayne Innes, has said she is disappointed by the move and believes it raises serious concerns about passenger safety. She says it is uncertain whether the service will come to Coventry. Coun Innes, alongside other council leaders and unions, has previously campaigned against Uber, claiming it is unfairly undermining the ‘gold standard’ licensed black cab. But Uber’s services remain popular among taxi users who see it as a cheaper and easier alternative to traditional black cabs. Uber contests claims it cuts corners on passenger safety, training, driver checks and other matters. Coun Innes claims the new partnership, if extended to Coventry, could mean people are tempted away from potentially safer, Coventry-licensed black cabs. Coun Innes said: “I have regularly called for a consistent standard for licensing laws for taxis and drivers to be implemented across the country as at the moment, standards vary widely. “Ours are more rigorous as for us, ensuring passenger safety is paramount. In Coventry, the council says all taxi drivers are DBS and DVLA checked – in line with national driving standards. All cab drivers have to be trained in helping people with disabilities, as well as having to pass a road knowledge test. At present, taxi and private hire drivers can work anywhere in England once they have their licence. With Uber passengers can use apps on their phones to hail a taxi, which can be shared with other passengers. Many of the Uber taxis operating in Coventry are licensed by Wolverhampton Council. We have contacted Uber for a statement.